This is a Great Circuit Board for Audio System with Wonderful Sound Quality. It Needs to be connected with Amplifier Board, Then Able to Drive Speakers. It Plays Music via USB Flash Disk or SD Card as You Wish. FM/USB/SD/Line in Different Modes Can be switched by Remote Control or Button. You Can DIY Your Own Music Audio System Right Now. Note: This is only an Embedded FM USB MP3 Audio Board Module & You should need an Amplifier to connect the Speakers. 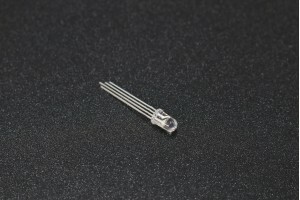 This RGB LED strip is 100 mm (3 LEDs) and uses high quality 5050 RGB LEDs. Mixes Red, Green, and Blu..